The Prism Medical UK Freeway brand is the long established, market leading, proven manufacturer of the highest quality, excellently designed, longest lasting and most practical range of Shower Chairs. Freeway Shower Chairs are designed to be bespoke which allow you to choose from many interchangeable parts such as armrests, footrests, seats, etc. to build the most suitable shower chair for any application. Every Freeway Shower Chair is manufactured in three different width fittings – 440mm (17”), 490mm (19”) and 540mm (21”). All Freeway Shower Chairs are built with a substantial steel frame that are constructed from strong tubing to produce a heavy duty, durable chair capable of carrying up to 200kgs (30 stone). The frame then undergoes a unique process to produce a finish that is both highly durable and attractive as well as anti-bacterial. Find out more about FREECOTE® This frame has proved it provides years of reliable rust free performance. 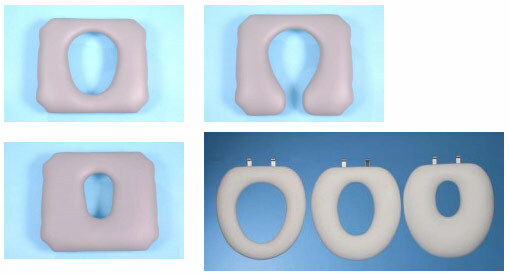 The comfortable padded seats are available in fully padded, horseshoe shaped, or full ring configurations with a choice of different sized apertures. The seat and backrest are covered in hard-wearing, flame retardant material, which is hygienic and easily wiped clean. There is a choice of horizontal push handles or straight vertical handled backrests for use in restricted areas or over WCs. 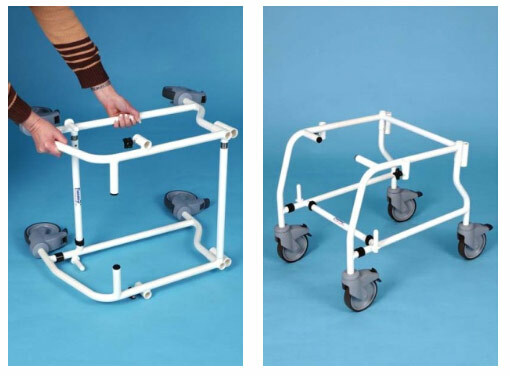 Large diameter top quality plastic and stainless steel castors for maximum water resistance, ensure the chair travels more easily over uneven surfaces and the ramped edges of shower cubicles, and on assistant propelled chairs, feature total stopbrakes. The armrests, with tops in hygienic comfortable high density foam are available in a choice of three widths. Removable swing away footrests are standard where appropriate. he Freeway range is extensive with a model to suit every application. All Freeway Shower / Toilet Commode Chairs fit over a standard toilet or commode (except where indicated). Models to fit over automatic bidets are included in the range. Prism Medical UK also offer a complete assessment and custom build service for Freeway Shower Chairs where there are special needs. Enquiries for special chairs are welcomed and these chairs are individually made by our specialist department. All models carry a 12 month warranty.